The director of one of the first bitcoin hedge funds offered praise for initial coin offerings (ICOs) today, arguing in an investor note that the novel fundraising method is already showing signs of significant advances. The new comments shed light on how Global Advisors, a Jersey-based investment firm that buys and sells cryptocurrency, sees changes in the broader crypto markets, which have so far seen a boom in fundraising via custom digital assets in 2017. Recalling this broader increase, the company's director, Daniel Masters, a former energy trader with J.P. Morgan, went so far as to argue that it is the appreciation of alternative cryptocurrencies and ethereum assets that has become the driver of bitcoin's price. "It was other coins and tokens that were driving value, outperforming bitcoin while dragging the whole complex higher," he wrote. Still, Masters believes that, while often dismissed as a "bubble" or a "fad", ICOs have become the breeding ground for real advances. In particular, he cited the now-ended ICO for Bancor, in which the project aimed at improving smart contracts raised $160m in cryptocurrency. Lauding the mechanics of the sale as "striking," he asserted that Bancor was able to use blockchain technology to offer services that transcend traditional services like Kickstarter. "Bancor gave a money-back guarantee backed by 80% of the ethereum raised should the market price of [its BNT token] fall below the issue price. Sure enough, a few days later in an overall market sell off, BNT traded to par. Bancor issued a statement saying the buy-back was activated," he wrote. Overall, Masters sees this type of "coded instruction" as a "eureka moment" showcasing what he thinks is evidence of the truly disruptive power of peer-to-peer digital assets. "This differs significantly from the methodology to date where, ironically, centralized exchanges have been the nexus for transactions not just from fiat money to digital assets but also amongst and between assets." The $600m market for initial coin offerings may soon be set to expand. Announced today, investment firm Pantera Capital is launching a new hedge fund focused on investments solely in tokens that power public blockchain protocols. Called Pantera ICO Fund LP, the fund intends to raise $100m, with $35m already raised in support from the firm's existing investor base, undisclosed new investors, and according to the company, unnamed venture capital firms. The new fund will complement Pantera Bitcoin Partners, a joint investment fund launched by Pantera, Fortress, Benchmark Capital and Ribbit Capital in early 2014 to invest in the cryptocurrency. In interview, Pantera's leadership team framed the fund as an extension of its past investments, which have included traditional investments in startups that have sought to incentivize distributed networks through the use of tokens. Included in the Pantera portfolio are Ripple and the Zcash Electric Coin Company, which use the XRP and ZEC tokens, respectively. Pantera CEO Dan Morehead and Augur co-founder Joey Krug will serve as chief investment officers for the fund. With the move, Krug is also joining Pantera full-time. The fund is currently open only to US institutions and individuals, though it intends to eventually open up support to non-US participants. As explained by Paul Veradittakit, venture investor at Pantera Capital, the fund creation was sparked by the recent rapid uptick in interest in tokens and protocols. According to CoinDesk data, funding for ICOs has already surpassed traditional venture capital banking in 2017. The mechanism has gone so far as to attract mainstream brands, with messenger service Kik announcing it would soon test a network token. "Six months ago, ICOs were a few million dollars," Morehead told CoinDesk. Even ethereum's crowdsale was only $18m. I think, with Kik, we're at a watershed moment, a company with millions of active users is transitioning to open source." However, Pantera's investment strategy will be more nuanced than simply working with major brands that may be interested in the concept. According to Krug, the fund will primarily seek to fund new protocols, ones which they believe will use cryptographically unique data in a way that's integral to their operations. "The latter have the strongest chance of generating longer value." In interview, Pantera further opened up about how it would seek to inject its capital in the market, comments that shed light on how its movements could impact the day-to-day holdings of retail investors who may also be seeking exposure to crypto assets. In this way, Morehead said that the market shouldn't expect Pantera to be frequently entering and exiting deals, though he said the fund would take steps to preserve its profitability and maximize opportunity if warranted. "We're going to make relative value judgements. If the token has reached a fair value and there's a new token that's inexpensive, we would trade," he said. "But, we're investing in tokens, we're not making markets." Krug also explained a bit about how it will seek to make technical evaluations on the prospects of various projects, evaluating the technical foundations of the designs of proposed protocols, as well as the strength of the team. It's worth noting that investing in ICOs is still an inexact science, as, owing to the difficulty of changing blockchain infrastructure protocols, its unknown whether pivoting will be as easy for entrepreneurs building on top of the tech. That's where Pantera is hoping Krug's experience will pay dividends. Augur raised $5.3m in an ICO for its ethereum-based prediction market platform in 2015 through the sale of tokens that power its reputation system. Today, its network is valued at $305m, with tokens trading for $27 at press time, according to data from Coinmarketcap. Also discussed was the rapid escalation in value observed in the total cryptocurrency market, which surpassed $100bn earlier this year, up from $18bn on 1st January, and the effect of what some have called a "bubble" forming in the market. Still, Krug sought to take a more long-term view, asserting that despite short-term fluctuations, he's confident that the ICO process will emerge as a compelling way to fund protocol development, one that will continue to interest investors and entrepreneurs. "In the long term, we're at the very beginning," he remarked. Likewise, Morehead said that, as with its bitcoin fund, the ICO fund is likely to see ups and downs. Overall, he focused on the fact that the funds would expand Pantera's investment capabilities while helping to fund and fuel growth in the market. 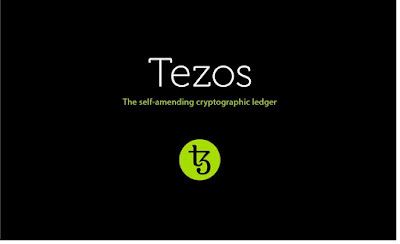 The Tezos blockchain project has completed its initial coin offering, or ICO, bringing in a record-smashing $232m-worth of bitcoin and ether. At close, Tezos had netted 65,627 BTC (worth roughly $156m at current prices) and 361,122 ETH (worth about $76m). The crowdsale, which didn't have a cap on the total amount of tokens sold, began on July 1, and was timed with the passage of 2,000 transaction blocks on the bitcoin network. The total represents the most collected via an ICO to date, topping the amount raised by Bancor, a platform for launching new blockchain tokens, which raised $150m at then-current prices in mid-June. At its heart, Tezos tackles the question of governance and development in the context of a decentralized network composed of different entities with possibly varying incentives and goals. The project has been described in the past as a "self-amending" blockchain, given that one of its central concepts is the ability for network-wide changes to be decided upon at the protocol level by stakeholders. In a conversation with CoinDesk earlier this year, Tezos co-founder and technology chief Arthur Breitman explained that those mechanics would act as a kind of "rule of law" that could work to prevent conflicts like the ethereum blockchain split following the collapse of the smart-contract funding vehicle The DAO last summer. When launched, Tezos will support smart contracts, using proof-of-stake as a consensus algorithm. With proof-of-stake, validators essentially set aside a portion of their tokens to increase their chances of being chosen to create the next block of transactions. Tezos, co-founded by Breitman and his wife, Kathleen, has been in development since mid-2014, when the project's white paper and position paper were first published. Kathleen, who is CEO of the project, previously worked as senior strategy associate for distributed ledger startup R3CEV, according to her LinkedIn profile, a role she took after spending close to two years with professional services firm Accenture. Arthur, per LinkedIn, served as a vice president for Morgan Stanley between 2013 and 2016, working as a portfolio manager for New York-based family office White Bay Group before that. Supporting the project is the Tezos Foundation, which is based in the city of Zug, Switzerland. The group is one of a number of blockchain-focused entities to make their home in Zug, which has emerged as a hub for the industry within Europe. 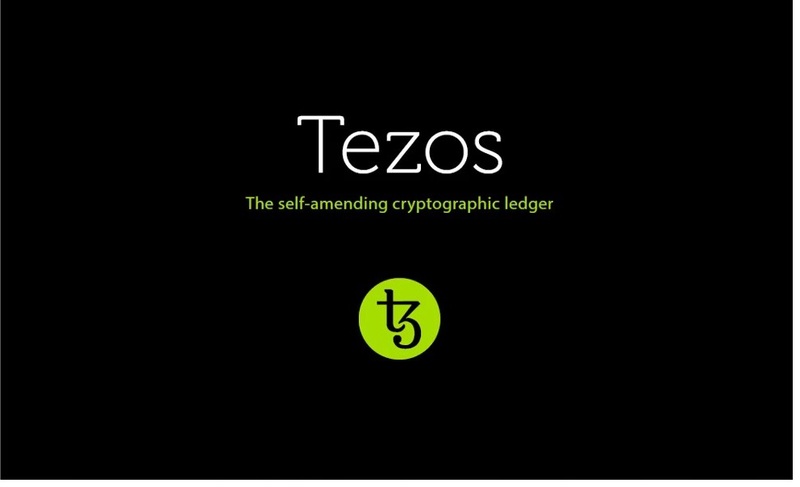 According to an overview for the Tezos crowdsale, the foundation – distinct from Dynamic Ledger Solutions, the startup that developed the project – will help drive activity at the community level, organizing meetups around the world and hosting an online forum for discussion. In some ways, the success of the Tezos fund raise points to the willingness on the part of investors and speculators to throw their support behind, not only specific applications like Status or Brave, but whole new protocols as well. Indeed, it was the crowdsale for ethereum – itself a new kind of blockchain at the time of its appearance – that represented one of those early bets. Ethereum's ICO brought in about $18m at then-current bitcoin prices and, today, the network's total market capitalization sits around $20bn. Another protocol-oriented ICO, for blockchain project EOS, has sold 224m tokens to date through a year-long crowdsale that began in June. With 43 projects raising $1.2 billion in initial coin offerings since May 1, according to Nick Tomaino's The Control, and with stratospheric returns for so many ICOs -- 82,000% for Ethereum, 56,000% for IOTA, 44,000% for Stratis, 21,000% for Spectrecoin -- it's no surprise that this summer through the end of 2017 marks the launches of at least 15 new crypto hedge funds. Last September, when Olaf Carlson-Wee, the first employee of Coinbase (and the subject of this month's cover story), founded Polychain Capital with $4 million (it now has $200 million in assets under management, with investment from Andreessen Horowitz, Founders Fund, Sequoia Capital and Union Square Ventures), he was early on the trend, but not the first. Then, this spring, Blockchain Capital raised its third round to invest not only in blockchain startups but also tokens. The firm then tokenized $10 million of the $50 million fund, selling BCAP tokens to the public (but only accredited investors in the U.S.). But now, a bigger wave of existing crypto players and old hands in finance who want in on this new world of value are launching funds. However, unsurprisingly, given how many new crypto-millionaires have been minted, complete newbies and others with little understanding of the technology are also rushing in to capitalize. Because of this frenzy, some seasoned players in the space are refraining from jumping in. William Mougayar, general partner at early stage fund Virtual Capital Ventures and author of The Business Blockchain who organized Token Summit, wrote via email, “I don't want to be in the difficult position of explaining to my limited partners 8-14 months from now why the assets have dropped by 80% within a week.” He views the new hedge funds as helping to further inflate valuations. He plans to raise a fund after a crash or serious correction. “If you rush gains, valuations, expectations, hype, etc... the whole thing will crash down. That is what happened in 1999/2000 with the Web. Suddenly, everything was going to be on the web, whether they were good or bad ideas, and whether they were experienced or non-experienced teams,” he wrote, adding that the same is happening with blockchains. “Reckless and greedy sentiments are leading the market. That is OK, because we need that to happen in order to flush out the bad actors and ideas from the system,” he says. Guess we’ll see which of these new funds on the block are still around after a market correction. Auryn, which launches in August with $12.5 million, aims to be a holding company for a crypto hedge fund, “light pool” (as opposed to "dark pool") exchange, decentralized exchange, ICO incubator, and token called Karma (to launch this September). Founder Sean Ironstag is a crypto trader who turned $15,000 into $3 million in three years. (Read about him and another trader in this magazine story.) The investor in Bitcoin, Ether, Augur’s REP, Litecoin, XRP, Game Credits and Dogecoin says, “Anybody right now with half a mind and at least four fingers can click some buttons and get in on this inevitable exponential rise in crypto and make money, make massive returns.” The fund will employ a strategy that mixes technicals, fundamentals, algorithmic trading, predictive AI and crowdsourced human traders’ analysis. Of the algorithmic strategy, Ironstag says it will make “an INSANE amount of money.” He and partners like Jonathan Teo recently departed from Binary Capital have purchased 40 acres in the Santa Cruz mountains and 500 acres in Uganda, the latter of which they hope to give to refugees from South Sudan. The value of their properties will be represented partially by Karma, which they hope to turn into a “universal basic asset” token also consisting of Auryn’s returns and the ICOs in the first class of their incubator. This, the sixth fund and third crypto-related fund managed by Tim Enneking (one was a bitcoin fund he managed for its owners and the second an offshore crypto fund he shut down), launched in June with $10 million and aims to manage $400 million. Its strategy divides crypto assets into blue chip such as bitcoin, large cap (market cap of $200 million up), mid cap (market cap of $20 million and higher), small cap ($2 million+ market cap), pennies and "dead" (the 100+ coins with zero trading volume). The open-ended fund has so far traded in coins like Game Credits and PotCoin as well as invested in coins like Bitcoin and Ether for fundamentals. This fund, targeting $25 million in assets under management, takes a venture-style approach, investing in coins with technology that could solve a real world problem. So far, it's invested in Ripple (XRP), which is tackling international wire transfers, Golem (GNT) for decentralized computing, and Factom (FCT) for real estate titling, bank and audit records and other applications for immutable records. The cofounders are six-time entrepreneur Logan Kugler and crypto trader and VC Zach Hamilton. Crypto exchange CEO Bill Shihara is an advisor, as are Ryan Swagar and Brandon Zuener, managing partners at Venture51. This $25 million fund launched July 1 and was founded by two recent Case Western University graduates, Ari Lewis and Sagar Rambhia, who plan to employ a mix of fundamentals, event-driven arbitrage trading and algorithmic trading. It has so far invested in Ether, Civic, Bitcoin, Singles and Storj. The founders learned about cryptocurrency in high school and have mined and invested in it. They also founded Koalah, a mobile app in which players could bet on the outcome of games using bitcoin. This hedge fund with more than $100 million committed will launch at end of summer. The four founders, Chris Dover, Travis Steffen, Whitney Stefko and Joe Stolte, have more than 18 years experience in global macro, algorithmic and high frequency trading, as well as security, risk management and venture. The fund will both short trades and go long and will use discretionary and proprietary algorithms that have been deployed in equities, futures, options and currencies in 2008 and that have performed well in crypto as well.